Do Disease-Modifying Therapies for MS Increase Risk of Infection? A review of infections in patients with multiple sclerosis (MS) finds an inherent risk from the related disabilities, and the possibility of increased risk from disease-modifying therapies (DMT) with implications for treatment choice. 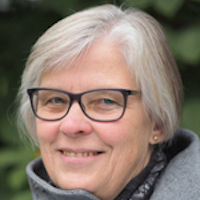 Elisabeth Gulowsen Celius, MD, Professor, Department of Neurology, Oslo University Hospital, Ullevål, Oslo, Norway explained this possible adverse effect of treatment for MS to MD Magazine. "The challenge with infections is even greater now that we also have drugs approved for progressive MS," Celius said. "With advancing age and disability, the risk of infections in general increases and treating these patients with immunomodulatory drugs further increases this risk." Celius cites previous studies finding that patients with MS have an increased risk of infections and of more severe infections, as well as a higher utilization of intensive care and higher mortality rate than the general population. The increased risk associated with having MS has been largely attributed to disturbances in bladder function, predisposing to urinary tract infections and pneumonia. Infections can exacerbate the course of MS, and in one study a relative risk ratio of 1.3 for relapse of MS was documented in a 4-week post-viral infection period. Other studies have demonstrated an increased risk of relapse after influenza and Epstein-Barr virus infections, and have suggested that peripheral infections can induce neuroinflammation and clinical relapses. Celius distinguished between the mechanisms of the immunomodulatory and/or immunosuppresive treatments and their relative potential for increasing risk of infections. She noted that drugs inducing a reduction in normal T-cell or monocyte function could increase the risk of bacterial, viral, parasitic and viral functions. Drugs causing a reduction in neutrophils could lead to an increased risk of bacterial and fungal infections, according to Celius. Paticular risks that were identified include progressive multifocal leukoencephalopathy (PML) with natalizumab (Tysabri) treatment of patients having JC-virus seropositivity. Celius attributes the association, albeit rare, to the drug blocking entry of B and T cells to the central nervous system, "accounting for the reduced immune surveillance of the brain." Fingolimod (Gilenya) was found to have possible association with selective reactivation of herpes virus infections, although Celius notes it did not appear to interfere with the immune response against cytomegalovirus and Epstein-Barr. Alemtuzumab (Lemtrada) has been linked to cases of opportunistic infections such as listeria and pneumocystis pneumonia, which Celius suggested is "most probably related to the transient depletion of both adaptive and the innate immune system." Celius identified 2 agents that were not associated with risk of infections: glatiramer acetate (Copaxone) and teriflunomide (Aubagio). She notes that Leflunomide (Arava) for rheumatoid arthritis is metabolized to teriflunomide, and has been shown to inhibit Epstein-Barr. "Thus, possible anti-viral properties of teriflunomide may indicate that teriflunomide is a treatment option in patients with recurrence of disease (MS) activity after PML," Celius said. Celius concluded her review by advising that the choice of DMT in MS should be “guided by the drugs' specific mechanism of action and the drug-specific risk of infection." "Screening for infections pre-treatment and extreme vigilance during treatment is required," Celius said. The review, "Infections in patients with multiple sclerosis: Implications for disease-modifying therapy and implications for disease-modifying therapy," was published in Acta Neurologica Scandinavaca in November.